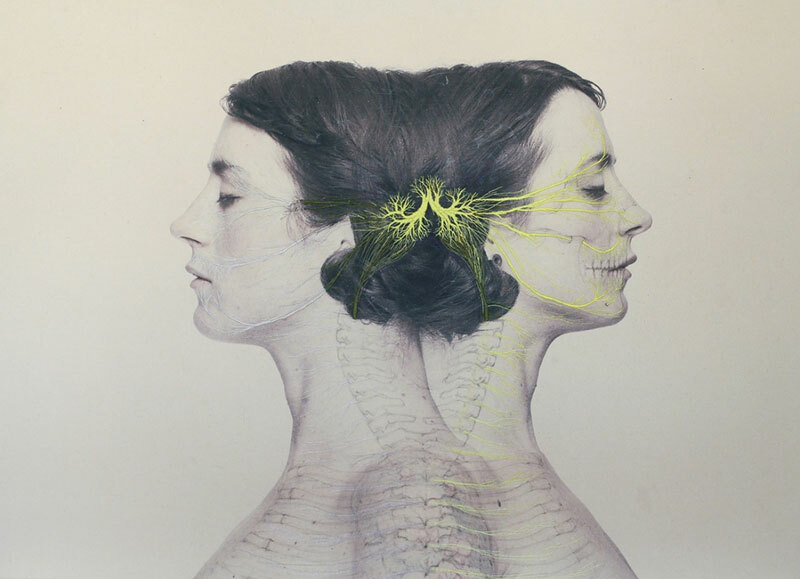 New embroidered portraits of the human body by Chilean artist Juana Gomez. 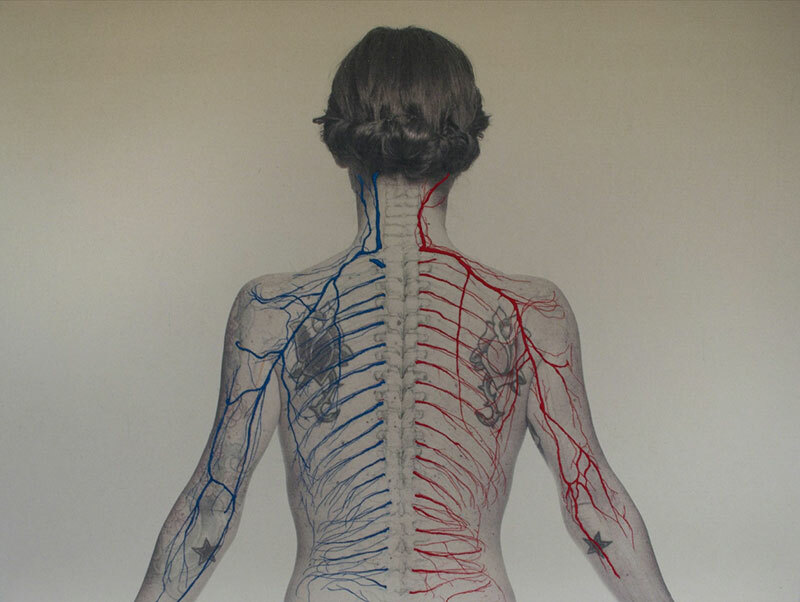 The series entitled Constructal presents images printed on linen on which she draws and hand embroiders the veins and organs of the body. The works are based on the repetition of structure governing the organic and inorganic world and attempts to explain the complexity of shapes that arise in nature. This fundamental law can be seen in the veins of a leaf, the course of a river and its tributaries, the central nervous system of humans, sea currents and routes of Internet traffic—deciphering the common language, connecting the micro with the macro, the outer and inner world, in order to distinguish a pattern that influences the inert, biological, social and cultural. It continuously affects us, unconsciously, and rules the everyday aspects of our movements through the city, and others as personal as the symbols of our dreams. Its essence lies in the way things flow along the path of least resistance. On view at Isabel Croxatto Galería through Apr. 27. 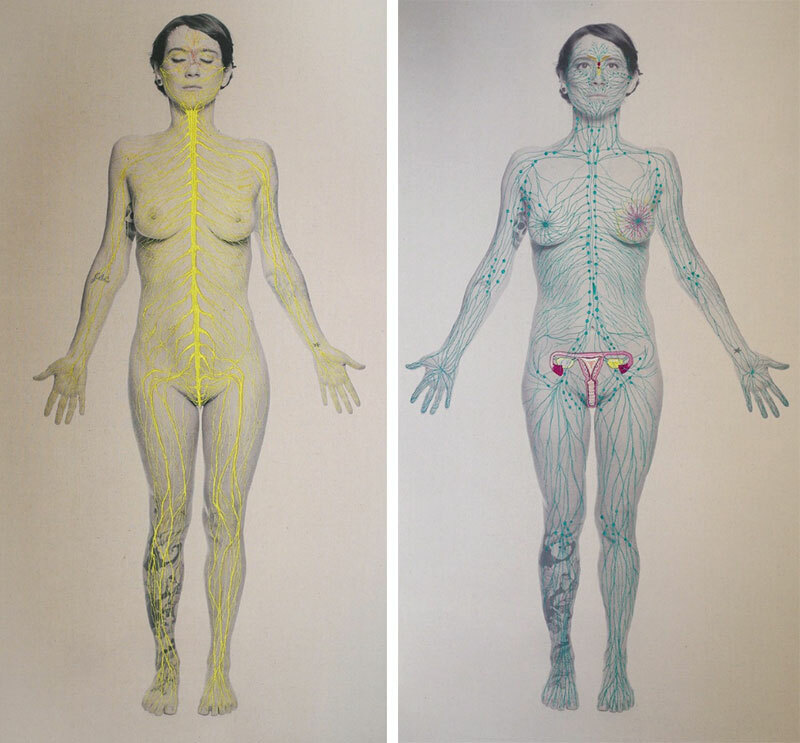 New embroidered portraits of the human body by Chilean artist Juana Gomez.